The MyGica ATV495PROHD Android TV box comes with the latest video streaming capabilities. As HDR video becomes mainstream in-home entertainment, you want to make sure that you have a device which can run up to all the latest standards. With 5 times more colour shades than standard HD systems, HDR allows you to experience video-based media with more detail than ever before. 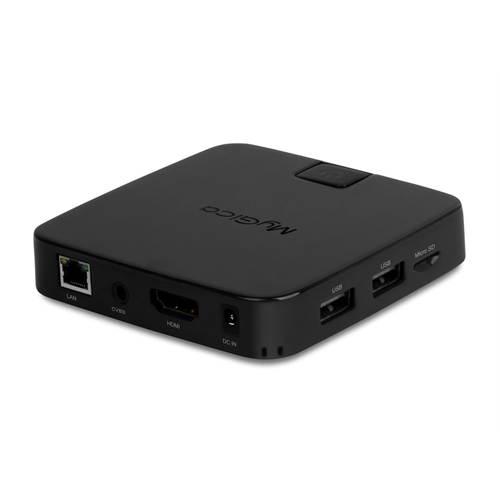 This Android TV box comes with the 6.0 Marshmallow operating system, letting you use the most up to date Android OS features which allows it to operate faster while using less RAM. This paired with the 2GB of DDR3 RAM means you won’t have worry about programs being unable to reach peak performance. It also comes equipped with MyGica’s Media Suite of Apps which gives you one of the most powerful 3-in-1 programs for all things media. This allows you to play all your local and network shared media, connect and stream live services like Netflix or Hulu and allows m3u lists to run straight from within. It also comes pre-loaded with Kodi, formerly called XBMC that lets you host and play local content including videos, pictures and music. It’s also one of the first Android boxes to support the USB-A681 tuner stick which gives you the ability to capture live local HDTV channels for free. 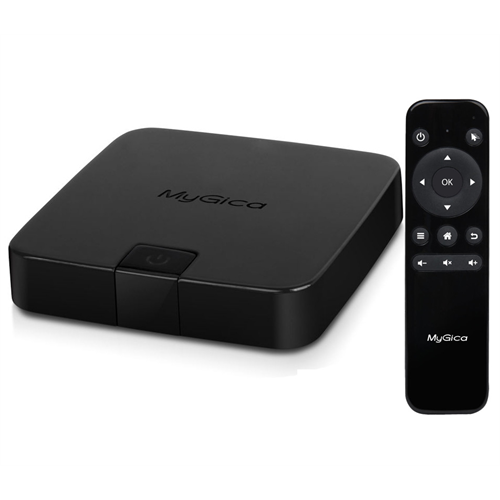 The package comes with a MyGica ATV 495Pro HDR, a KR412.4G QWERTY Keyboard Air Mouse, an AC power adapter, an HDMI cable, AV cable and a quick installation guide. NOTE: You will require a TV with HDMI in, or RCA Composite YRW (Cable not included) to run the box as well as a WiFi Router with preferably N support or at least G support.